When I picked up The Last Oracle as my next read, I didn't realize that it had been nearly two years since I read the previous book in the Sigma Series. I was quite surprised to see how far I had fallen behind. Absence, as they say, only made the heart grow fonder. 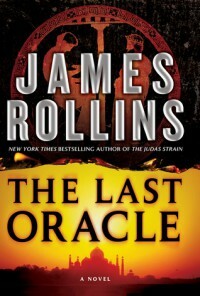 Picking up a James Rollins novel is like sitting down with an old friend. The flow of the story and the likeable characters are comforting and familiar. While re-entering the world of Sigma Force, the Last Oracle does little to shake James Rollins from the top of the Action-Adventure Genre. The Last Oracle intertwines action with history and science. We receive a brief history in Gypsy or Roma people and their ancient connections. We are also treated to an exploration of the plasticity of the human brain, autism and the scientific connections to things that we may consider "mystical". As always, Rollins has done his research and integrated seamlessly much like Michael Crichton did. Personally, may favorite Rollins Novels are his stand alone novels. I have never come to love the Sigma force as much as his solo reads. 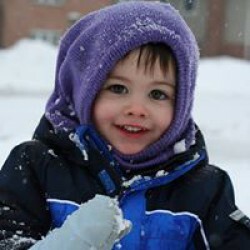 That said, I did name my son Grayson. True story. On one level, this novel follows a similar formula to the others in the series. Generally, this bothers me and leads to the abandonment of series. In the case of this novel and the others in the series, Rollins does a masterful job of crafting an interesting story with an engaging supporting staff. If you have not read any of the other Sigma Force Novels, do not fret if this is the only one you have to read. This could be read as a stand alone novel. While reading the previous novel would provide context for one thread of the story, the a Sigma Force newbie could read this and enjoy it fully. Another excellent installment in the Sigma Force Series.